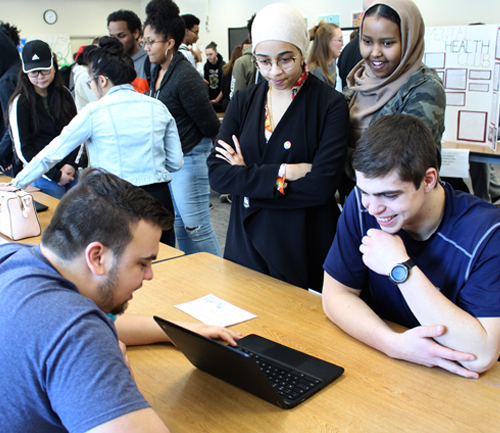 Taking rigorous mathematics courses at Fridley High School enhances and enriches students’ learning experiences and mathematical understanding. Students taking these courses will learn new mathematical concepts, investigate mathematical patterns, communicate using mathematical language and notation, and apply their skills to find solutions to real-life problems. In the state of Minnesota, you must successfully complete three years of math at the high school to graduate. However, it is recommended to take a fourth year of math if you plan to pursue a post-secondary degree or technical career.